Located some 8 miles south of the city of Katy, the Grand Lakes community is known for its great atmosphere and high performing schools. 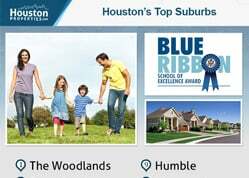 TOP PERFORMING SCHOOLS: Four of the Best Schools in the Greater Houston area serve Grand Lakes homes: Alexander Elementary, Griffin Elementary, Beckendorff Junior High, and Seven Lakes High School. GREAT COMMUNITY AMENITIES: Grand Lakes is within Katy, one of Houston’s Best Suburbs. Like its neighbors Cinco Ranch and Seven Meadows, Grand Lakes features a variety of community amenities. Residents can enjoy the community’s parks, stocked lakes, and multi-use trails, among others. STRONG REAL ESTATE MARKET: Grand Lakes real estate is one of Houston’s best in appreciation. 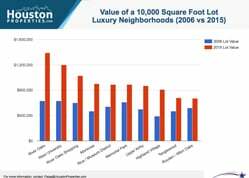 Katy’s real estate market has been one of the best performing suburban Houston neighborhoods over the past one, five and ten-year periods. EXCELLENT LOCATION: Located just north of Westpark Tollway and on both sides of Grand Parkway, Grand Lakes offers great accessibility. Key districts in Fulshear, Richmond, and Houston are minutes away from the community. NEAR RETAIL AND DINING: The community has plenty of retail, dining, and entertainment options nearby, including Cinco Ranch’s LaCenterra. Restaurants, groceries, and retail stores along Grand Parkway are highly accessible from the Grand Lakes homes. BEAUTIFUL HOMES WITH LAKE VIEWS: Grand Lakes real estate range from large estates to traditional bungalows, some of which sit next to the community’s many lakes. Grand Lakes real estate can be tricky to navigate due to the number of available home types, styles, and sizes. 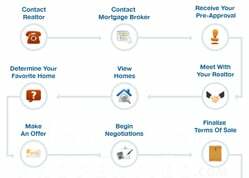 Consulting with the best Grand Lakes Katy realtor can greatly benefit homebuyers. 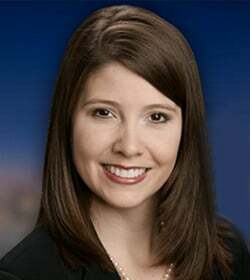 For any inquiries about Grand Lakes homes recommendations, or off-market MLS listings, get in touch with Paige Martin, head of the Houston Properties Team and one of the best realtors in Houston. I am interested in Grand Lakes and would like to get more details. A relatively small community of about 295 homes, Grand Lakes is located within the Greater Katy area, one of the top-ranked suburbs in Houston. Located in one of Houston’s Best Suburbs, Grand Lakes is an upscale master-planned community. 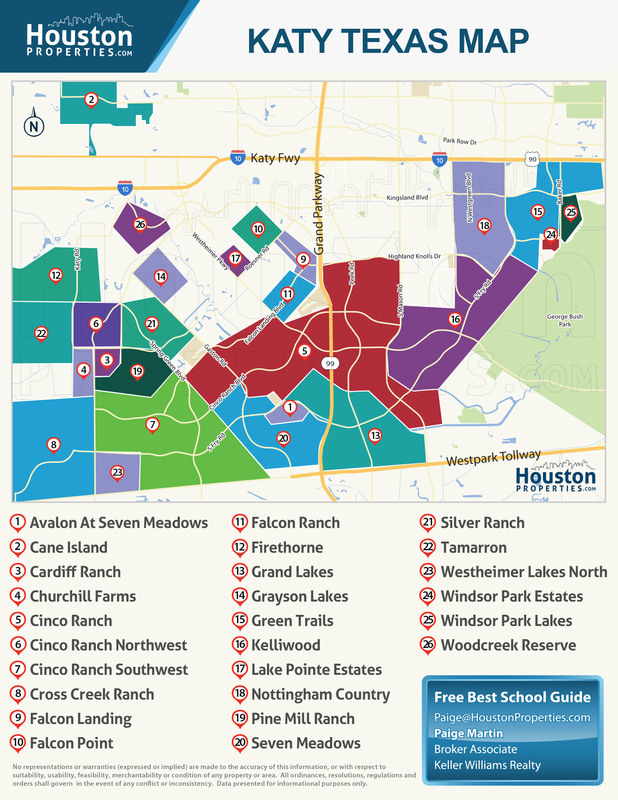 Four of the Best Schools in the Greater Houston area serve Grand Lakes homes: Alexander Elementary, Griffin Elementary, Beckendorff Junior High, and Seven Lakes High School. Like its neighbors Cinco Ranch and Seven Meadows, Grand Lakes features a variety of community amenities. Residents can enjoy the community’s parks, stocked lakes, and multi-use trails, among others. The community has plenty of retail, dining, and entertainment options nearby, including Cinco Ranch’s LaCenterra. Restaurants, groceries, and retail stores along Grand Parkway are highly accessible from the Grand Lakes homes. Established in the late 1990s, Grand Lakes is from Trendmaker Development Company. Several reputable builders offer homes in the community, including David Powers, Perry Homes, and Ashton Woods, among others. The master-planned community was developed in phases, with homes built around a central park area. Grand Lakes homes come in a variety of floor plans, with options ranging from 3- to 6-bedroom dwellings. Home sizes range from 2,000 to just under 5,000 square feet. Homes in the area typically feature traditional architecture. Lot sizes range from 4,000 to more than 26,000 square feet. Prices for Grand Lakes homes for sale start at around $200,000 to upwards of $800,000. Grand Lakes covers a 1,200-acre area just north of Westpark Tollway. It is made up of around 2,700 homes, divided into several phases. Phases One, Two, and Three lie east of Grand Parkway, while the newer Phase Four sits west of the 99, just north of Avalon at Seven Meadows. The community is nestled in the area south of Cinco Ranch and the Buffalo Bayou, about 8 miles south of the city of Katy. The upscale master-planned community is from Trendmaker Development Company, and features homes from reputable builders. Each phase features a central park, with trails meandering around the community’s many parks and lakes. Other community amenities include tennis courts, splash pads, swimming pools, and a dog park, among others. Though mostly residential, some areas in Grand Lakes are reserved for commercial use, including pockets along S Fry Road and Grand Parkway. Grand Lakes homes are centrally located near parks, schools, retail centers, and restaurants. Key districts are highly accessible from the area, via main roads and freeways like Peek Road, S Fry Road, Grand Parkway, and Westpark Tollway. Grand Lakes homes are zoned to Katy Independent School District (KISD). The Katy Independent School District (KISD) is one of the most highly regarded school districts in the Greater Houston area. Rated “Met Standard” by the Texas Education Agency, six KISD schools were ranked within the top 25 of Children at Risk’s Greater Houston Rankings in 2016. Among these schools, three serve Grand Lakes homes (Alexander Elementary, Beckendorff Junior High, and Seven Lakes High). Roosevelt Alexander Elementary School is located within the master-planned community and serves Grand Lakes homes in Phases 1, 2, and 3. Roosevelt Alexander Elementary School at 6161 S Fry Rd. Established in 1998, Alexander Elementary was named for a beloved administrator. It is one of the KISD’s multi-award winning schools, and has been named an Honor Roll school by the TBEC (2008-09). It was ranked 24th in Children at Risk’s 2016 Greater Houston School Rankings. Michael L. Griffin Elementary School at 7800 S Fry Rd. Griffin Elementary has been given an “Exemplary” rating by the TEA in the years 2007, 2008, 2009, 2010, and 2012. Beckendorff Junior High School at 8200 S Fry Rd. Ranked 5th in Children at Risk’s 2016 Greater Houston School Rankings, Beckendorff Junior High was established in 2008. It has excellent academics and athletics programs, alongside a fine arts program. Seven Lakes High School at 9251 S Fry Rd. Seven Lakes High School was originally built as a relief school for the Katy and Cinco Ranch High Schools. Ranked 10th by Children at Risk (2016), the school offers a variety of AP courses. The following are some of the more notable private schools near Grand Lakes homes. Houston Learning Center at 180 Applewhite Dr.
To find an updated listing of all Grand Lakes real estate zoned to any specific public school, please send an email to Paige Martin at Paige@HoustonProperties.com with the property preference and budget that you’re working with. Grand Lakes real estate have posted steady increases over the last 10 years. Great schools, excellent community amenities, and high accessibility contribute to the community’s strong property values. The median sales price of Grand Lakes homes is over $250,000, relatively more affordable than homes in other upscale communities in the area like Avalon at Seven Meadows. For updated information regarding Grand Lakes real estate pricing and trend analysis, please contact Paige Martin at Paige@HoustonProperties.com. Grand Lakes real estate is made up of around 2,700 single-family homes, most of which are built around the community’s many lakes. Apart from lake views, Grand Lakes homes often offer two-car garages, spacious lots, and traditional designs. Floor plans vary, ranging from 3- to 5-bedroom options. Smaller bungalows and patio homes can offer 2-bedroom 2-bath setups. Home sizes typically range from 2,000 to just under 5,000 square feet. The most expensive homes in the area can feature 6 bedrooms and more than 4,000 square feet of living space. Lot sizes, on the other hand, can be between 4,000 to more than 26,000 square feet. Like most master-planned communities in Greater Katy, architectural styles in Grand Lakes lean toward traditional designs. Colonial aesthetics are also apparent in some homes in the area. Prices for Grand Lakes homes for sale can start at around $160,000. The most expensive real estate in the area can sell for more than $900,000. There are no Grand Lakes townhomes available, though some smaller patio homes and bungalows are available in the area. Nearby communities like Cinco Ranch do offer some townhomes within some of its sections. There are no Grand Lakes condos for sale. Nearby Houston districts like the Energy Corridor and Memorial do have a few mid- and high-rise residential buildings. Developed in 1998, Grand Lakes is one of the master-planned communities within the Greater Katy area. Located in Fort Bend County, the land used to be mostly rural during the early 1900s to the 1940s. At the time, farms and cattle ranches made up most of Greater Katy. Cinco Ranch, the master-planned community just north of Grand Lakes, used to be a working cattle farm. 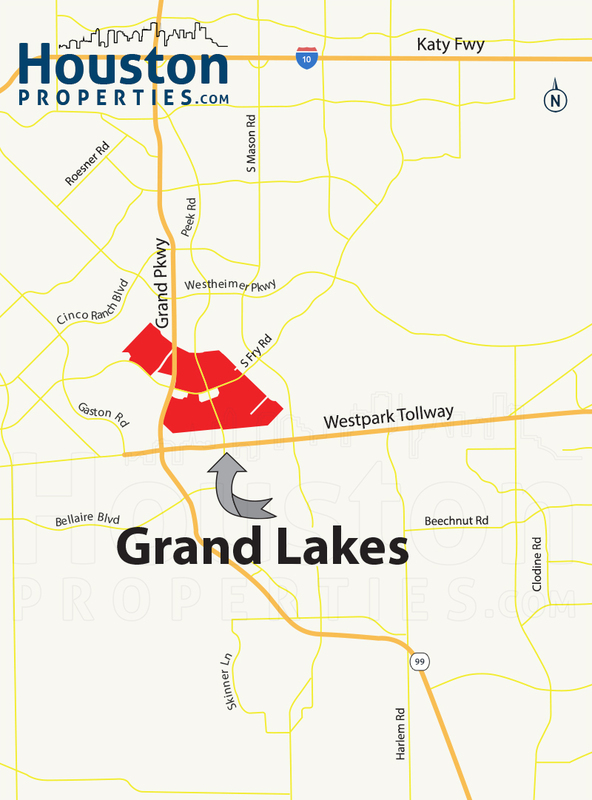 Development in the areas around Grand Lakes started during the mid-1980s, and continues up until today. 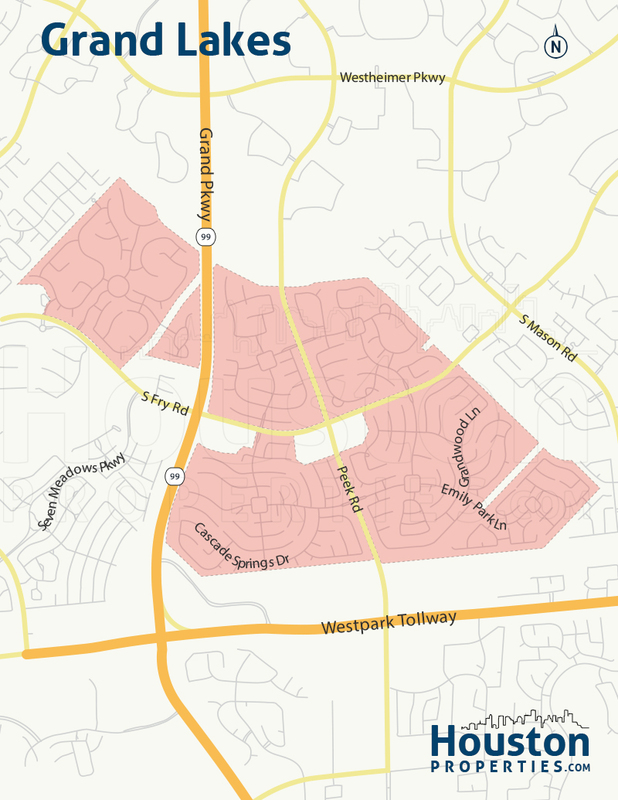 Grand Lakes itself was developed in phases, with the newest – Phase 4 – sitting west of Grand Parkway. Like most of Greater Katy’s master-planned communities, Grand Lakes offers a great variety of community amenities. Residents can enjoy catch and release fishing, or simply relax in the community’s parks. Each phase features homes built around a central park, with a network of hike-and-bike trails that wander around the community’s lakes. The community showcases 27 lakes, some of which are stocked. Each of Grand Lakes’ phases also features community swimming pools, splash pads, tennis courts, putting greens, pavilions, and several playgrounds. The community also has a dog park and a community garden. Though the community is mostly residential, some areas – near S Fry Road and Grand Parkway – are reserved for commercial use. Other notable retail centers are mere minutes away from Grand Lakes, including the LaCenterra at Cinco Ranch.